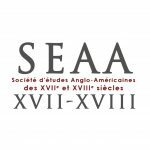 L’appel à communications des Journées Jeunes chercheurs 2019 de la SEAA 17-18, de la SFEDS et de la Société d’Études du XVIIe siècle, organisées en partenariat avec le Centre de Recherches Anglophones (CREA, EA 370) et l’Institut de Recherches Philosophiques (IRePh, EA 373) est disponible ici. 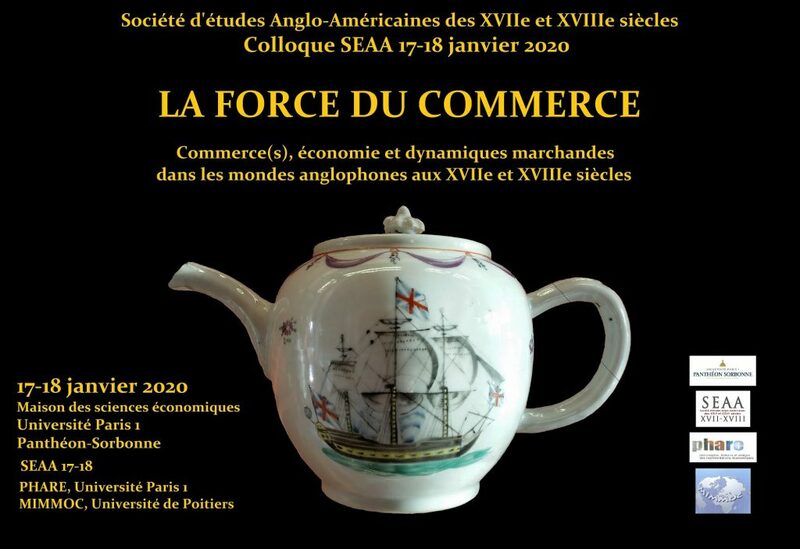 L’appel à communications pour le prochain colloque annuel de laSociété d’Études Anglo-Américaines des 17e et 18e siècles, qui aura lieu les 17 et 18 janvier 2020 à l’Université Paris 1 Panthéon-Sorbonne est désormais disponible. Vous pouvez consulter la page consacrée au colloque annuel ici. Vous pouvez également télécharger l’appel à communications en format PDF ici. 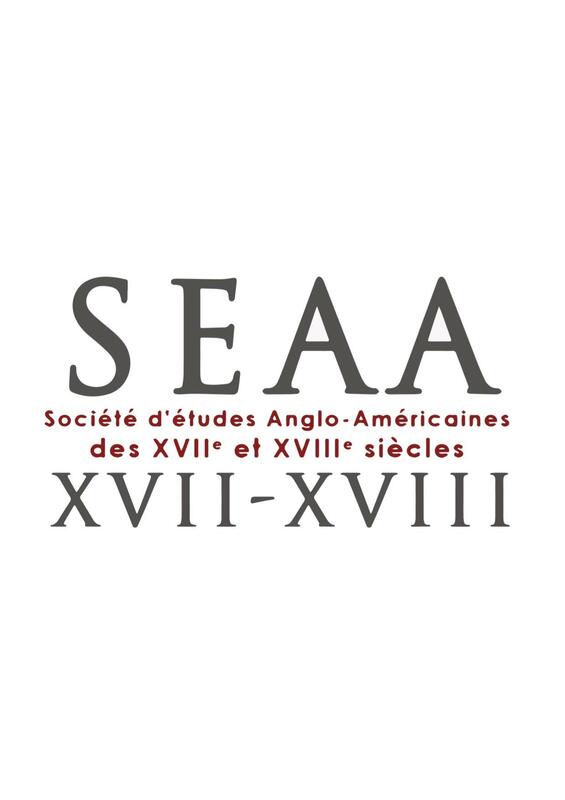 The 2019 SAES conference will question the complex notion of ‘exception(s)’, a concept which finds particular resonance within seventeenth and eighteenth-century studies. We invite papers and panels to ponder the notion of exception as the precursor of renewal and change, often ‘the unthinkable, the eccentric and the transgressive’. An exception is dual by nature, condemned by some as a mistake, an erroneous and temporary deviation from the norm whose model it challenges, but hailed by others as the trailblazing sign towards new artistic, political and religious directions. In this atelier, we will question the status of the exception as the harbinger of transformation. During the seventeenth and eighteenth centuries, attempts at stabilizing the world through the conception of norms and the application of rules seemed proportionate to the many upheavals of the dominant codes of the time. The era developed a marked interest in the careful policing of exceptions and the theorizing of the rules governing all aspects of the world. 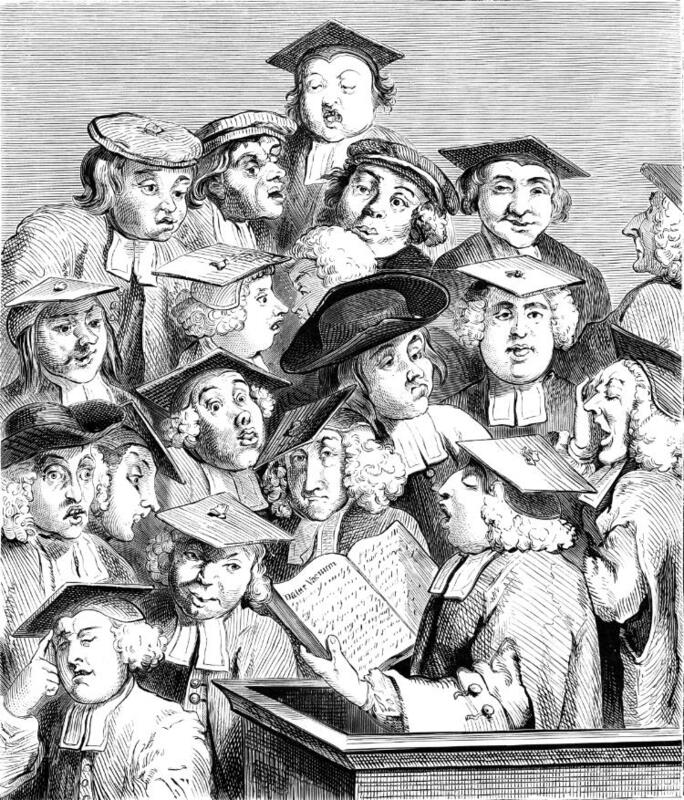 Political thinkers, poets and artists tried to unlock the timeless rules by which the world was governed, from Locke in his Essay Concerning Human Understanding to the work of grammarians striving to shape the English language clearly (Hermes, James Harris, 1751), or Adam Smith and his theorization of economics. Yet the idea of the exception seemed constantly to emerge, it evoked an escape from rules and conventions which no longer applied. 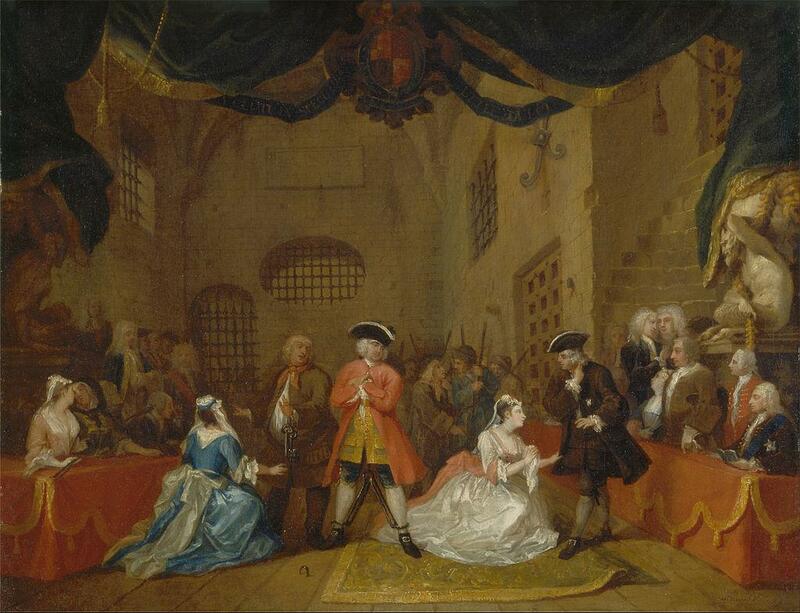 When in 1754 Hogarth published The Analysis of Beauty, attempting to give a template to the artists of the day through which to achieve harmony, he wrote that ‘it is a constant rule in composition in painting to avoid regularity’. 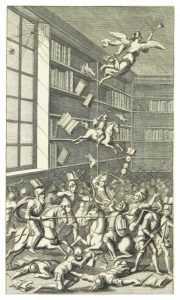 Either in literary circles, with the development of the novel and its refusal to comply with any genre of the time, or in artistic terms, with the emergence of new schools claiming to represent modernity, exceptions appeared to dictate the new direction of taste and style. Such tension between the stability fostered by rues and the change heralded by exceptions to those rules was felt sharply in both British and American political and religious institutions. After the Reformation, English Catholicism was no longer the norm but rather an exception, an anomaly to be eradicated. Later, the civil wars of the 1640s sent a legitimate monarch to his death and his heirs into exile, whilst conferring power to a man of lowly extraction and bringing down the unity of the established Church of England. Later still, the Glorious Revolution entirely rewrote the criteria for royal legitimacy, and installed a foreigner on the throne. Such changes were all deeply transgressive of long-established norms, and their outcomes would have been unimaginable to many of their contemporaries. Similarly, the American Revolution, while deeply influenced by British thought and philosophy, eventually became a transition towards the shaping of a new American identity, based on an ever-growing feeling of exceptionalism and a sense of national destiny. 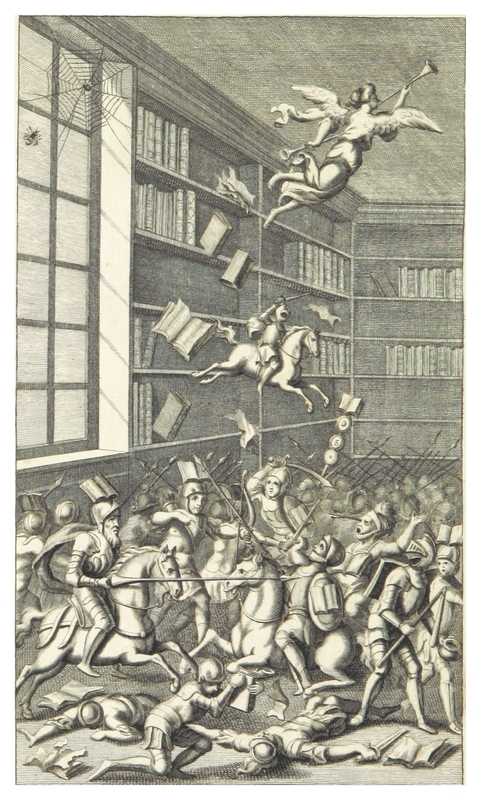 In a broader geopolitical context, the multiplication of upheavals and wars, sometimes spanning several continents and the transformation of European and overseas territories led to the emergence of revolutionary states, which in turn questioned the very nature of exceptionality, since a revolution is by definition a state of exception supposed to bridge the gap between two stable regimes. Yet the idea of a revolutionary spirit, at the turn of the nineteenth century, had become less of a transgression and more of a manifesto of youth and renewal. Transgression of norms and rupture with tradition thus heralded new eras and produced new norms. The establishment of an American Constitution following the Philadelphia Congressional Congress of 1787 as well as the ratification of a Bill of Rights formalized these new norms, transforming a revolutionary moment into a model for other nations, and the Founding Fathers into rule makers rather than rabble rousers. The historians both of America and of the British Isles contributed to the fashioning of a narrative of exception for their respective nations, building what has since been debunked as a Whig myth of greatness and unity which, whilst hailing the elect nation as exceptional, in fact took care to homogenize and normalize what it meant to be ‘American’ or ‘British’. But in the process, such historiographies entirely neglecting those at the margins of that grand narrative, such as those outside of the established Protestant norm, or those outside of normative reproductive heterosexuality, or women, the young, the poor, the natives, Afro-American peoples, or any group standing outside a norm which was white, male and Protestant. How then can an exception be defined? Is it but a transition between two norms, or the impetus for the creation of new ones? Can its transgressive aspects be digested and included into the new templates it creates? Self-defining one’s art, society or religion as an exception necessitates the conception of an identity in constant flux, and the possibility of an endless revolutionary state. Yet exceptions both defy and define norms in their time, by creating either a reaction or a school of thought. An exception can thus appear as a prophet for the new, but also as a limiting category in which transgression, instead of being encouraged, is paradoxically enshrined. Papers will not exceed 25 to 30 minutes maximum. 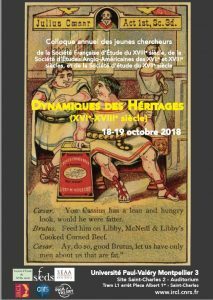 Papers will be considered for publication in the Varia of XVII-XVIII (25,0000 to 40,000 characters, to be returned to the general editor by the end of June 2019, formatted according to the stylesheet available on the journal’s website). Globalization and transmission of models of exception: are revolutions contagious? 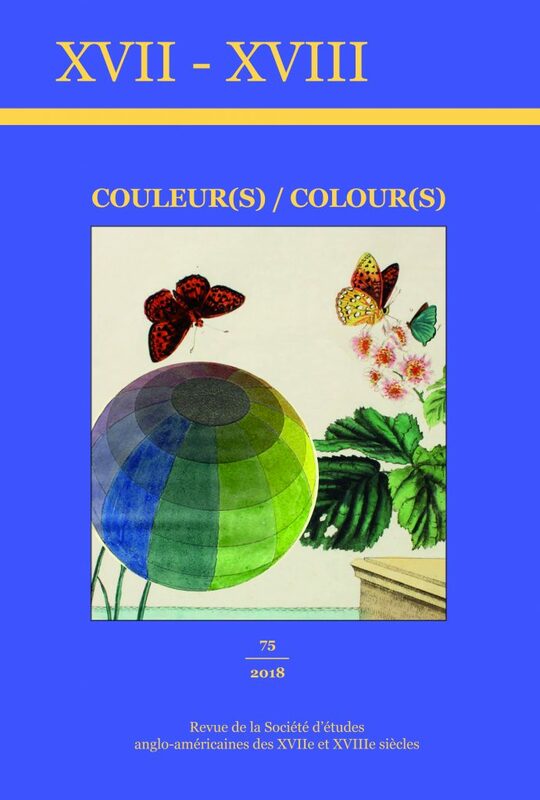 -The exception in literature and art: oddity, transition or establishment of the new norm? 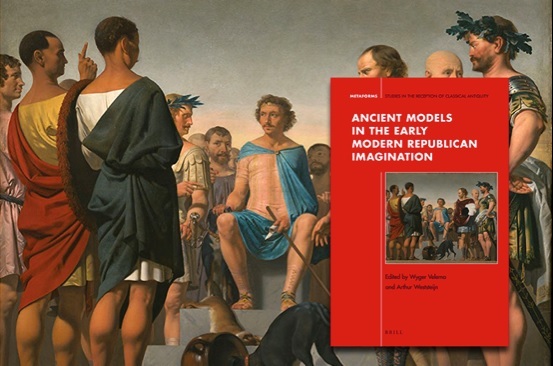 Notwithstanding the importance and the impact of exceptions and exceptionality, the papers may also explore the limits of this concept in terms of our understanding of the early modern era. Peter Brook writes that “all the exceptions blur the truth” (The Empty Space), and we should also reflect on the limits of exceptionality in terms of political as well as aesthetic agency and of our vision and the representation of history. 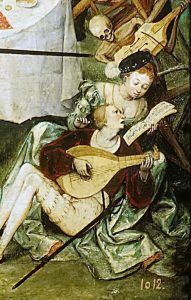 The seminar thus invites reflexive contributions on how contemporary visions on the Renaissance turn the early modern era into an “exceptional” era which some would blindly emulate, and others would dismiss altogether. 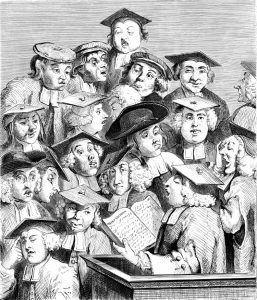 This debate applies both to the strict content of early modern studies and the place of the Humanities in today’s episteme, but also to the place of early modern studies in the Humanities today. 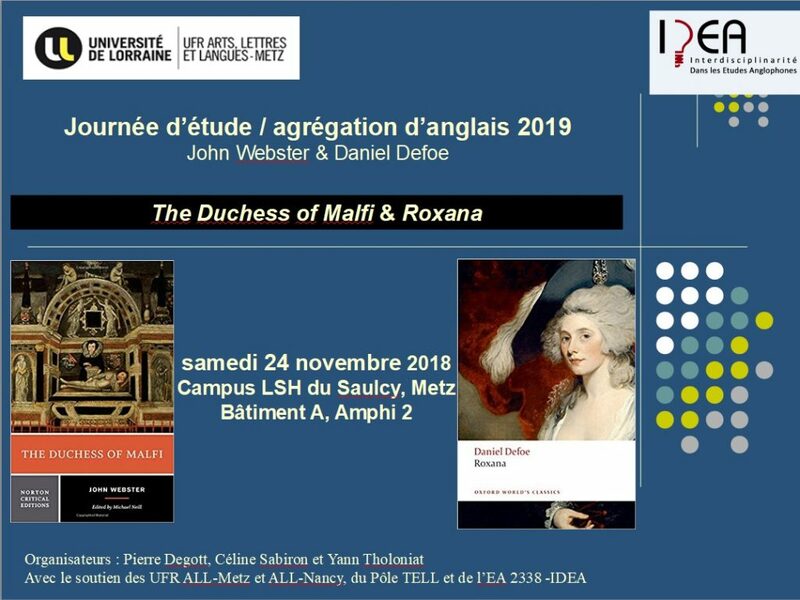 Please send proposals of individual papers (250 words) or two-to-three-paper panels to Nathalie Rivère de Carles (nrivere@univ-tlse2.fr) and Jean-Louis Claret (jean-louis.claret@univ-amu.fr) by 1st November 2018. Proposals should include a short biography of the participant(s). 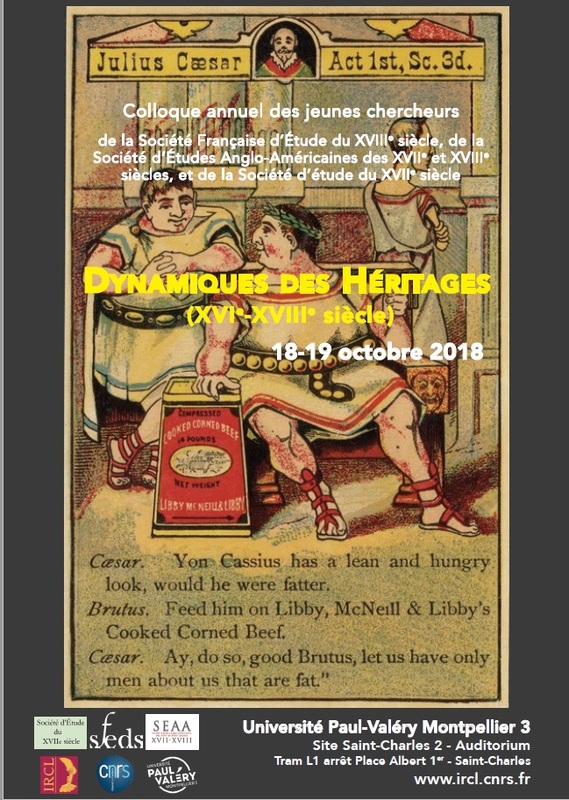 Le colloque annuel des jeunes chercheurs co-organisé par la Société d’Études Anglo-Américaines des XVIIe et XVIIIe siècles, par la Société Française d’Étude du XVIIIe siècle, par la Société d’étude du XVIIe siècle et par l’Institut de recherche sur la Renaissance, l’âge Classique et les Lumières (IRCL) aura lieu les 18 et 19 octobre prochain à l’Université Paul-Valéry Montpellier 3.